It is very important that the Player have ongoing discussion with their coach regarding their development, players need to get comfortable talking to person in authority rather that the parent speaking on their behalf. Its part of growing up and taking responsibility and ownership of their direction in life. Players will gain confidence from this and be comfortable talking to teachers, bosses etc later on in life. SJEB coaches are the primary source of your childs soccer development, however they only have three hours per week with their players, yet a young players should be touching the ball 10-15 hours per week. It is the players responsibility with encouragement from their parents to work with the ball away from SJEB training. Coaches can advise players on what they can work on at home, and its on the player to ask the coach what they need to improve. The internet its awash with quality training exercises that players can use to develop their game. 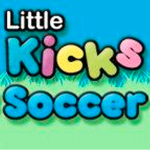 Players can find ball mastery exercises on this SJEB Youtube playlist. Players can find dribbling move videos on this SJEB Youtube playlist. Players can find agility training videos on this SJEB Youtube playlist.